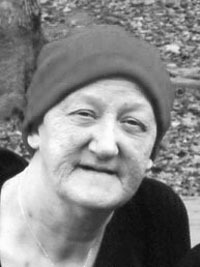 EAST LIVERPOOL — Lavonna May ‘Bonnie’ Adams, 58, of Yeager Drive passed away Monday, March 18, 2019 at her residence, following a lengthy illness. Born July 1, 1960 in New Martinsville, Wetzel County, W.Va., she was a daughter of the late Roy and Carthia Price Metz. She was a homemaker, and Pentecostal by faith. Survivors include her husband, Lindsay F. ‘Frank’ Adams at home; one daughter, Jessica Edgell of East Liverpool; one son, William Adams of Hammondsville; three grandchildren; three sisters, Freda Haught, Nelda Haught and Julie Metz, of all Smithfield, W.Va.; and one brother, Randall Metz of Russell, Ky.
Friends may visit the family from 2-4 and 6-8 p.m. Friday, March 22, 2019 at the Dawson Funeral Home. Evangelist Will Montgomery of the St. Clair Avenue Church of Christ will officiate a funeral service at 1:30 p.m. Saturday, March 23, 2019 at the funeral home. Burial will take place Monday in Calcutta Cemetery.